Preventative & General Dentistry is the foundation for a beautiful and long-lasting smile. Good oral hygiene at home combined with regular professional dental cleanings and exams at our office helps to avoid problems and maintain a patient’s oral health. Our dentists strive to educate patients about dental care and provide exceptional diagnostic services to aid in the detection and treatment of problems such as gingivitis, periodontitis, and cavities. With pro-active dental care, your smile can last a lifetime! During your initial exam we will take a full set of digital x-rays. This is an important diagnostic tool that allows us to fully evaluate your teeth and surrounding bone. Using dental x-rays we can locate any areas of decay that may be hiding between your teeth as well as evaluate for periodontal disease and find any areas of infection. Dental x-rays are a crucial part of the examination process. When taking a digital x-ray a small sensor will be placed along side your teeth that looks like a piece of film. After the x-ray is taking, the image instantly appears on the computer screen. Digital x-rays have an added benefit of using a very small amount of radiation and do not require harmful processing chemicals to develop the image. Your dentist will periodically take x-rays to supplement your routine exam. If you have any questions or concerns about dental x-rays feel free to ask your dentist or hygienist at your next visit. Oral Cancer is a form of cancer that occurs in the mouth. It most frequently presents on the tongue, soft palate, floor of the mouth, lips and the gums. Early diagnosis is key for oral cancer treatment. At Frangella Dental we complete an oral cancer screening at all routine hygiene visits. You should be seeing your dentist every 3-6 month depending on your oral hygiene needs. During your oral cancer screenings your dentist will check your head, neck, cheeks and oral cavity for any lumps, ulcers or irregular tissue changes. Oral cancer is typically painless in the early stages and is normally represented by red, white or discolored lesions, patches or lumps in or around the mouth. So it is important to be checked regularly for any signs or oral cancer. 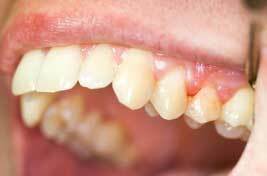 What Causes Gingivitis and Periodontitis? Gingivitis and Periodontitis are conditions that are caused by plaque and bacteria buildup on the teeth. This plaque if not removed can become hardened over time creating calculus. The bacteria in this layer produce toxins which causes irritation to the tissues surround the teeth including your gums, and bone. 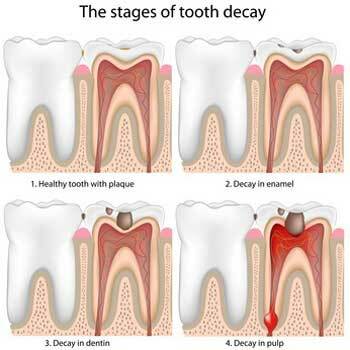 Over time these toxins cause inflammation and degradation of these tissues, creating large pockets between the gums and teeth allowing even more buildup of plaque and bacteria. The chronic inflammation of these supportive tissues leads to bone loss and can cause premature tooth loss as well. What is Root Canal Therapy? Your teeth are made up of several different layers. The outermost layer, called enamel, is the hard white portion that you see every day. Beneath that is a slightly softer yellow layer called dentin. And, lastly at the center of your tooth is the innermost layer called the pulp where the nerve lies, the nerve extends from the center all the way to ends of the roots of each tooth. When you need root canal therapy, that normally means that the nerve has been damaged and needs to be treated. 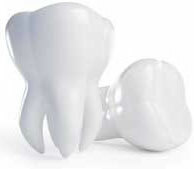 Damage can be caused by a very large cavity, a large fracture or a trauma to the tooth. Once it has been determined that you need root canal therapy your dentist will anesthetize the tooth and place a protective barrier around the tooth in order to keep it clean. Then your dentist will clean out the nerve tissue with specially shaped instruments and may place a medicament as well. Once the root canal is thoroughly cleaned and shaped a sealing material will be placed in the canal and a temporary filling material placed in the tooth until then next visit where you will begin the final restoration of the tooth. Many people have asked what the alternative to root canal therapy is. Once the nerve has been irreparably damaged the only alternative to root canal therapy is extraction of the tooth. Leaving an untreated tooth with a damaged nerve will lead to infection and in most instances discomfort. It is not recommended to leave teeth in this state untreated. If you have any questions about root canal therapy please ask us at your next visit. Cerec Inlay/Onlay Restorations Inlays and onlays are a dental restoration that is prescribed when there is a large cavity or a large portion of tooth missing. In these situations resin or amalgam fillings may not be recommended because they would not be able to hold up over time against the force of your bite. Inlays and onlays solve the problem of needing more strength in a restoration while remaining conservative. In many cases if an inlay or onlay can not be performed a crown is recommended. Inlays and onlays can be performed in one visit with the use of Cerec technology. Cerec allows you to fabricate a custom restoration outside of the mouth. the restoration is typically made of porcelain. Once fabricated chairside the restoration is then cemented into place. With Cerec technology you can leave the office with a custom made restoration permanently cemented into place in one visit. As opposed to using a lab to fabricate your inlay or onlay. This eliminates the need to deal with impression material, the wait until you get your final restoration, or the worry that you will lose your temporary filling why you are waiting. An integral part of optimal oral health is scheduling routine hygiene visits. Depending on your oral health you should schedule an appointment every 3-6 months. 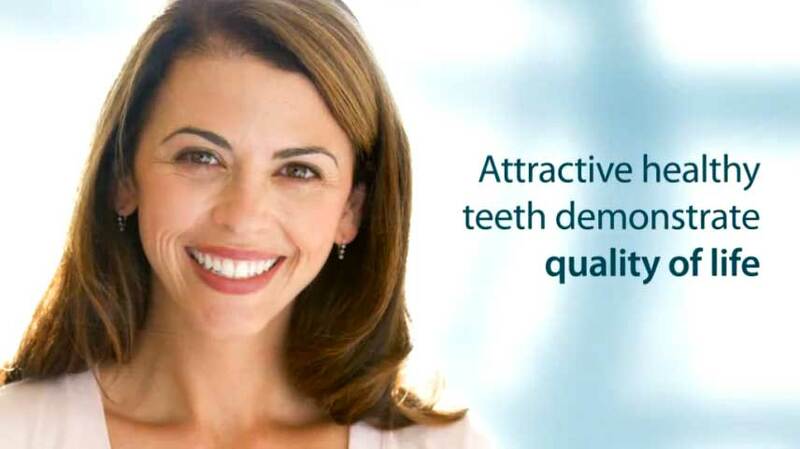 We at Frangella Dental are committed to providing the highest quality dentistry to all of our patients. With this goal in mind, we created what we believe to be the criteria of a healthy mouth. Routine dental visits allow us to help maintain that standard. During your visit we will clean then examine your teeth, periodontal condition and complete an oral cancer screening. Depending on when your last set of x-rays we may take check-up x-rays as well. afterward we will give recommendations on what you can do at home to maintain a healthy mouth. What is A Nightguard? Many people clench or grind their teeth whether it be during the day or while they sleep. This habit can be damaging to the teeth and jaw joint. If someone presents with signs or bruxism, temperomandibular joint (TMJ) disorder your dentist may recommend an appliance called a nightguard. 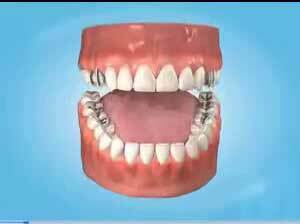 A nightguard is a tray that overlays the upper or lower teeth separating them slightly. This helps protect wear of the biting surfaces of the teeth and relieves pressure on the jaw joint and surrounding muscles. Chronic clenching and grinding of the teeth can cause significant damage to the teeth and cause discomfort to the structures that hold your jaw and TMJ in place. Your teeth, jaw joint and surrounding musculature is routinely evaluated during your dental exams. 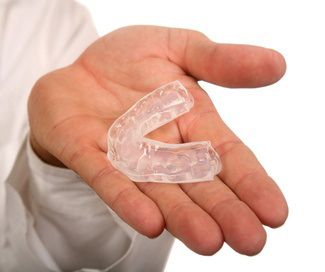 If you have any questions regarding nightguards or bruxism feel free to ask your dentist at your next visit. 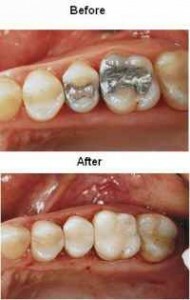 Silver fillings, although durable, are unaesthetic and as they degrade can cause fissures which are prone to plaque and bacteria buildup. During your routine exam your old fillings will be evaluated for function and adequate seal. If your fillings show sign of leakage or advanced breakdown we will recommend the filling be replaced. During your next appointment your old silver filling will be replaced with a white filling. Crown and bridge restorations fall under the category of fixed restorations. Meaning, these types or restorations are cemented permanently into the mouth and are not removed. 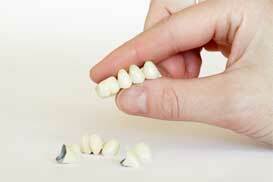 A crown is used to restore a single tooth to its normal shape and size, allowing it to function normally. A bridge is a restoration that includes multiple units and teeth in order to replace a missing tooth and restore a group of teeth to their normal size and shape. Both crowns and bridges cover or cap the teeth to be restored. This allows us to restore function and aesthetics. Click here to watch videos on your crown or bridge visit.